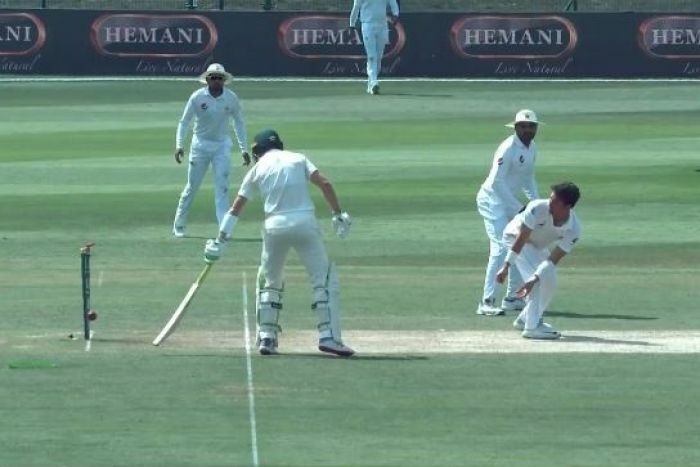 Has there been a dumber run-out in cricket’s history? Azhar Ali, Pakistan’s number three, has offered up a hall of shame contender on day three of the second Test against Australia in Abu Dhabi, with a comical dismissal that needs to be seen to be believed. Having edged a Peter Siddle delivery wide of the slips cordon and — seemingly — away to the third man rope, Azhar and batting partner Asad Shafiq convened in the middle of the pitch for a glove-tap and a bit of a chat. There was only one problem. The ball hadn’t reached the rope. Mitchell Starc loped after the now-stationary ball and lobbed it back to wicketkeeper Tim Paine, who expertly kept his cool so as not to raise any alarm for the oblivious batsmen. Paine calmly took the ball, whipped the bails off and commenced his celebrations. 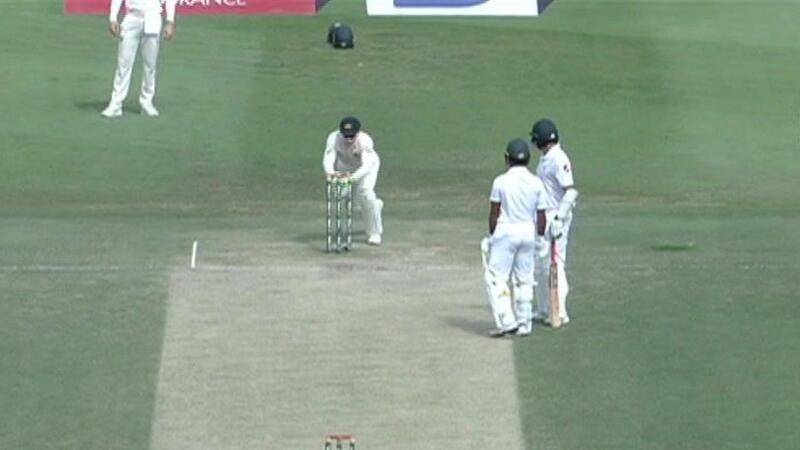 After a brief discussion as to which batsman was actually dismissed, Azhar had to go. One man breathing a sigh of relief at this point is Marnus Labuschagne, who now only has the second-worst run-out dismissal of the match to his name. On day two, the second-gamer was brought undone by inexplicably dangling his bat in the air at the non-striker’s end while Yasir Shah got a finger to a Mitchell Starc straight drive. The “run out at the non-striker’s end by a deflected finger from the bowler” dismissal is usually one of the most unlucky ways to go, but given Labuschagne’s defiant refusal to ground his bat behind the crease as the ball trickled towards the stumps, sympathy for the Queenslander was low. But compared to the farcical efforts of Azhar and Asad, Labuschagne’s howler is now a minor brain fade.